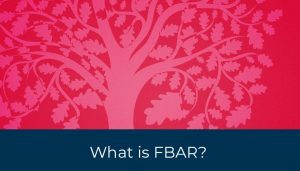 Home » Knowledge centre » Explanation of the US tax system » What is FBAR? 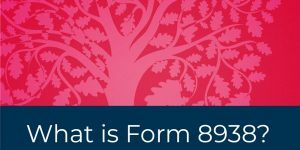 You may have heard of FBAR filing, but you don’t know what it is. FBAR stands for “Foreign Bank Account Report”, and refers to FinCen Form 114, Report of Foreign Bank and Financial Accounts. US persons who have ownership or control (for example signature authority) of foreign accounts with an aggregate value of over $10,000 in the calendar year: FBAR filing required. 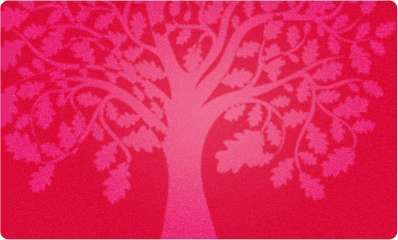 Bank, securities, financial instruments accounts. Accounts held in commingled funds (mutual funds) and the account holder holds an equity interest in the fund. Individually owned bonds, notes, stock certificates, and unsecured loans are not “accounts”. Foreign life insurance or annuities with cash surrender value are “accounts”. “Foreign” Online Gambling Accounts – IRS Says FBAR filing is Required. Many persons are under the mistaken belief that if one has several overseas accounts and a particular account is not over $10,000 then that account does not have to be reported. This is incorrect. Remember, if the highest aggregate value of all of the foreign accounts on any day in the tax year is over $10,000, then all accounts must be reported on the FBAR. Another common mistake arises when an account beneficially belongs to another person. In this case it is often erroneously believed that the nominee does not need to report that account on an FBAR. This is incorrect; the nominee must still file the FBAR if the dollar threshold is met by the nominee. Other mistakes involve an improper understanding about what must be disclosed on the FBAR. For example foreign mutual funds or foreign life insurance / foreign annuity with a cash surrender value must be reported. Another common mistake involves the incorrect notion about filing for an extension. If one is to file an extension for one’s US income tax return it will also extend the due date for the FBAR filing. The FBAR is completely separate from one’s income tax return and currently, it has a different due date. In addition, one cannot obtain an extension to file an FBAR. But this will change for FBARs covering the 2016 year, due in 2017. You can read more here. Overseas Americans who have dropped out of the tax filing system can be in a perilous situation. Most of them will have foreign (non-US) bank and/or financial accounts for which FBARs should have been filed. The IRS is now being far more harsh in assessing penalties for failure to file FBARs or for incorrect FBAR filings. Pressing upon such taxpayers is the FATCA Factor, the Foreign Account Tax Compliance Act. As of 2014, under certain provisions of FATCA, foreign financial institutions will be required to collect information. This information will be relayed either directly (or indirectly through their local government authority) to the IRS about assets held by US persons with that institution. The FATCA rules will make it very easy for the IRS to cross-reference the information provided by the foreign financial institution with the taxpayer’s Form 1040. This in order to determine whether taxes and reporting on foreign financial assets have been properly undertaken. The first information reports are due to the IRS in 2015. If the IRS learns of a taxpayer’s noncompliance from the financial institution (for example, the taxpayer’s non-US bank), the taxpayer will not be eligible for entry into an IRS Voluntary Disclosure initiative. For those with potential criminal tax exposure, this can mean the difference between serving prison time and staying out of jail. Need more information on FBAR filing? Do not hesitate to contact us.